Breaking bread. Taking the raw ingredients of God's good creation, using our gifts to create something greater than the individual parts, and sharing that creation to nourish our loved ones. Such is the gift of the family meal. In designing an early childhood curriculum centered on the life of the family, we made sure to incorporate those aspects of family life that serve to bind us together. In the previous post we toured the first day of learning which begins the week with an emphasis on our Orthodox Faith. On the second day we turn our focus to the family table. Welcoming a young child's help in the kitchen benefits the child in many ways. 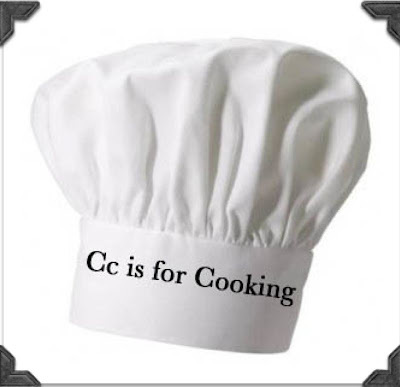 Reading a recipe serves as a lesson in following directions. Abstract mathematical concepts become concrete when measuring ingredients. Motor skills mature through the tactile nature of food preparation. But most importantly, relationships are nourished. In Letters of Grace you will find two letter-themed recipes selected for each weekly plan. In designing an Orthodox curriculum we could not ignore the fasting and festal seasons which affect every detail of our daily life, even down to the family menu. We wanted to avoid the situation in which a family would feel compelled to schedule the plans according to the liturgical year, avoiding using the plans during the four major fasting seasons. For this reason we opted to include a choice of two appropriate recipes for each lesson. In each week of plans you will find both a festal and fasting recipe, clearly explained and beautifully presented. 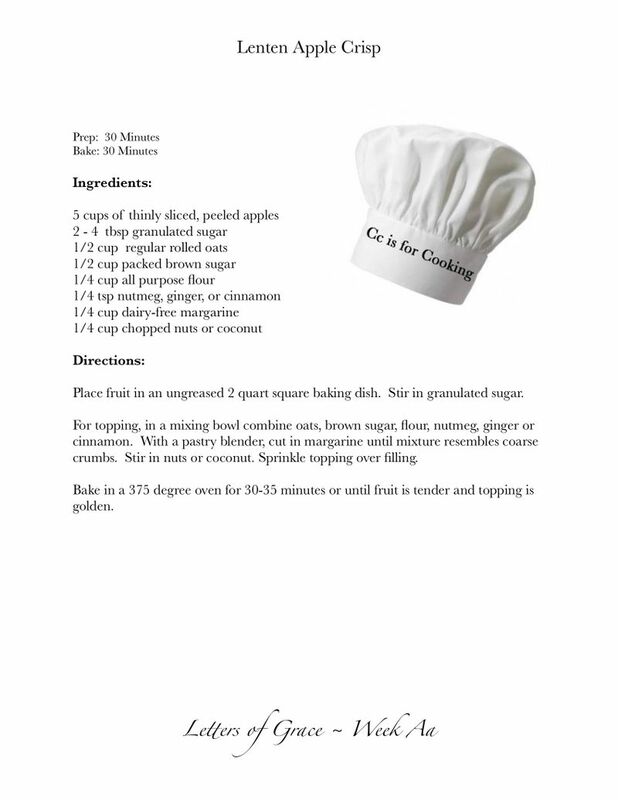 The recipes have been formatted for download and printing and are intended to be added to the planning notebook. Child-friendly, simple and delicious are the goals of every recipe. We have chosen main dish, snack and dessert recipes that are simple enough for a child to assist in its preparation. We hope these recipes will become family favorites and inspire culinary creativity in the children who participate in their preparation. Please feel free to leave questions in the comment box or send them via email. Next stop on the Letters of Grace tour? Aa is for Art.